Every successful drainage project starts with a plan. 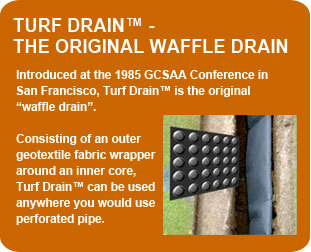 Master Drainage Plans are a specialty of Turf Drainage Co. of America. We have planned projects at over 300 golf courses all over the United States, including many of America’s top 100 courses. Plans have ranged in size from as small as half of one fairway to a complete 18-hole master plan. Once the plan is completed, you will have a clear picture of the best solution for your problem and a realistic appraisal of the cost and length of the project. With this information in hand, you can clearly communicate with your board or owner and arrive at a project budget and timeline that best suits your individual situation. Many courses implement the project over a period of years which allows them to fit the work into their budget and never have to completely close to play. 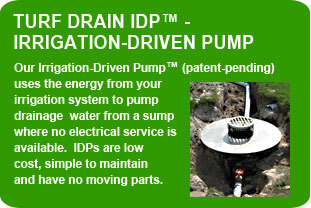 Considering a drainage project? The best thing you can do is start with a proper Master Drainage Plan. You will be surprised with how affordable a professionally-prepared Master Drainage Plan is. Call us to discuss your project. Everyday is considered a great day here at Hound Ears for the Golf Course Maintenance staff, but today has been marked and noted as one of the greatest of all. My first daily routine as always, is to check the rain guages throughout the golf course property so that I will know what work decisions to make for the day, and direct the Golf Course Maintenance staff. All the rain guages showed 4.5” of rain this morning. In this TurfNet University Webinar, Zach Boudreaux of Turf Drainage Company of America discuss Principle of Concentrations of Flow and how it affects drainage design. 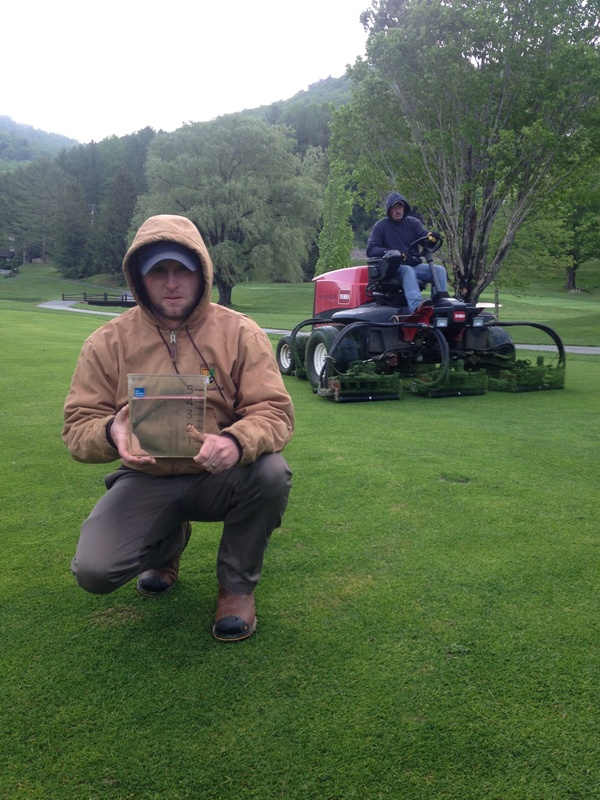 In this TurfNet University Webinar, Dennis Hurley and Zach Boudreaux of Turf Drainage Company of America discuss Master Drainage Plans and how they can be of benefit to the golf course superintendent and to the club. In this TurfNet University Webinar, Dennis Hurley, president of Turf Drainage Co. of America, discusses how the differences between surface water and seepage water affect drainage designs. Recognizing these differences will help superintendents identify underperforming drainage systems that are failing because of an improper design. The seminar will also help the superintendent to correctly analyze drainage areas that need improvement, and to plan successful projects. Dennis Hurley, president of Turf Drainage Co. of America, discusses installation techniques that are used by the top drainage contractors across the country. The presentation reviews the best equipment packages for different types of projects, as well as opinions on which pieces of equipment you are better off owning, versus renting. Dennis Hurley of Turf Drainage Co. of America discusses the principles of seepage drainage, the application of the Terzaghi formula and how it is used to design a proper drainage filter. The presenter also explains why gravel is almost never a suitable backfill material for seepage drainage that is placed directly into native soils in applications, such as fairway drainage. Dennis Hurley of Turf Drainage Company of America discusses gravity relief drainage systems, how they work and why, sometimes, they don’t and what options and alternatives are available to golf course superintendents. 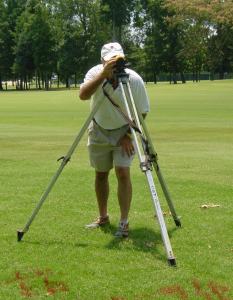 Dennis Hurley, President of Turf Drainage Company of America, discusses how to analyze golf course drainage problems. Different types of topographies and soils require different types of drainage solutions, and classifying a drainage problem correctly is critical to solving the problem. The Turf Drain Siphon System™ is the first drainage system where you can install drainage without the need to grade pipe. 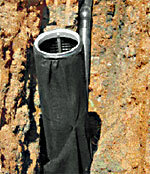 Piping can go over mounding or into an ungraded trench. It has application in flat coastal properties where there is a need to take the water a long distance with little elevation change. Any property where grading pipe may be difficult, such as rocky property or a course with lots of underground obstructions, can benefit from a Turf Drain Siphon System™.